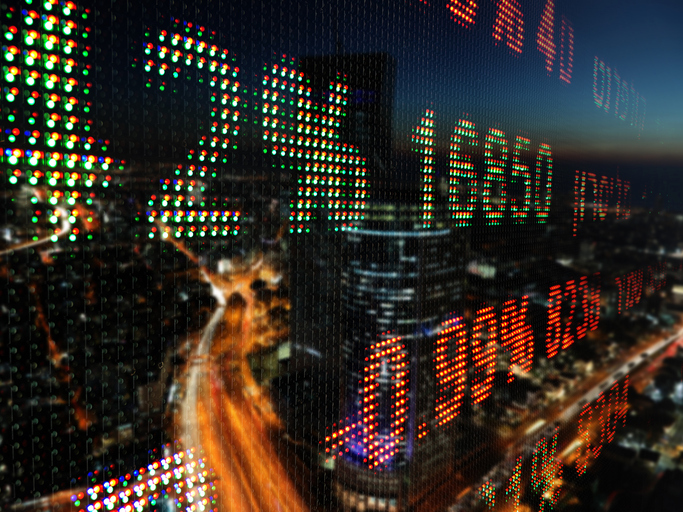 With stocks facing numerous headwinds, an equities analyst explains Slater's strategy for the year ahead. Few long-only investors will look back on 2018 with fond memories. It was extremely challenging, especially for UK equities. Can we expect anything better this year? Of course, there are many reasons to be gloomy: England didn't win the World Cup, or the rugby or make a showing at Wimbledon. And there's that Brexit thing grinding away in the background. 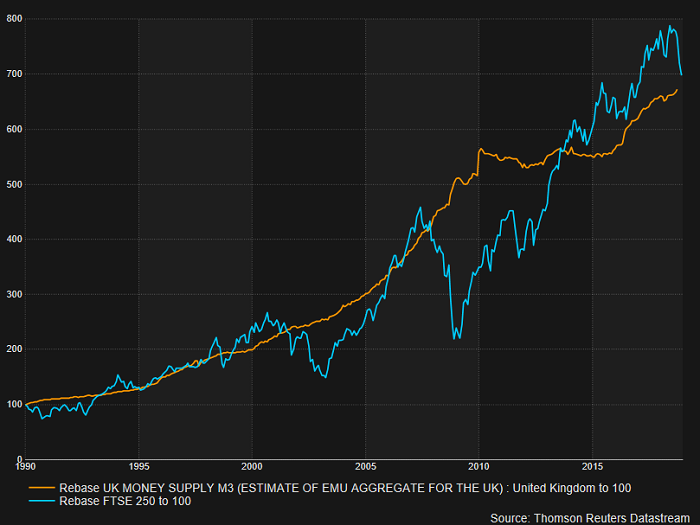 Here is a chart comparing the FTSE 250 to the growth of broad money supply (M3) in the UK. You will see that they move in tandem though, of course, the stockmarket is more volatile. The market remains a little ahead of money growth but by only a tiny margin. We expect only the most gentle tightening by the Bank of England as quantitative easing passes into history. 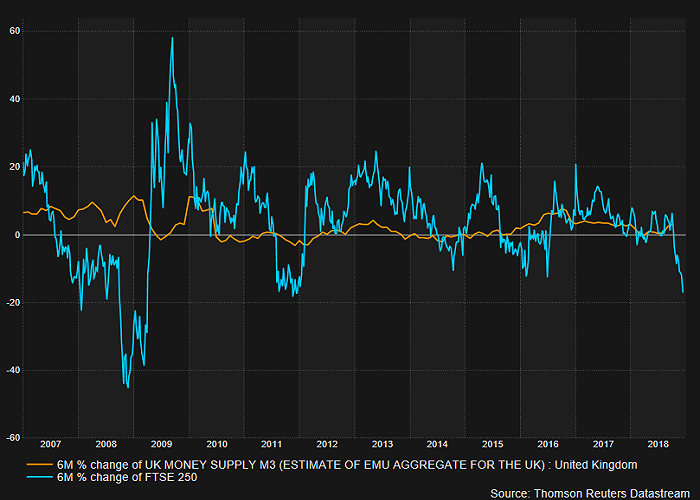 Looking at the six-monthly change in money supply (below) and the FTSE 250, you will see that the recent downswing is already at an extreme. Similar falls have been followed by rapid bounce backs. The crisis of 2008/2009 looks an extreme outlier, but even it had a typical six-month downswing followed by an equally violent upswing over the following six months. Periods of stagnation in money supply are followed by weakness in equity markets. We had a period of flatlining in early 2018 and it has had the usual impact. But recently money growth has resumed, which is encouraging. At Slater Investments we look to hold shares for multi-year periods, and we believe it is necessary to look beyond immediate, short-term concerns and focus on business quality and valuation. This is partly because we prefer high conviction positions, but it also reflects the lack of liquidity in mid and small cap stocks. Currently we only own one housebuilder, and its focus is on building for institutional landlords. Values of the mainstream builders have come down sharply, but we see no urgency to climb aboard. We also have minimal exposure to retail, even including online. The headwind of consumer weakness plus the ravages of digital make it hard to see where firm ground appears. During a period of economic uncertainty we must place even more weight on structural tailwinds supporting a sector. Automation and artificial intelligence (AI) will grow relentless in importance. The companies which develop these products tend to trade on exotic valuations, but we see good opportunities where customers are quick to adopt cost-saving processes. For instance, we own no business that sell AI bots, but we do hold a healthcare services company which is making heavy use of them to automate humdrum clerical tasks. We look closely at trends for revenue per employee. In a competitive economy the gains from higher productivity will be lost over time, to the benefit of customers. This simply means the early adopters must be looking for the next innovation to adopt in order to stay ahead of the pack. We like businesses that consolidate sectors, applying more advanced technology to the sleepy companies they acquire. At the same time we are extremely wary of the financial engineers: companies that hoover up lower rated unquoted businesses and use this to generate an unsustainable type of earnings growth. These companies follow a predictable arc, climbing swiftly at the beginning and then needing to make bigger and bigger acquisitions to maintain the earnings growth. How do we tell the improvers from the fakers: by monitoring efficiency levels in acquired businesses. If they simply run along as they did before they were bought, then we have very limited interest. Where a company is selling to other businesses, we place strong emphasis on the size and expertise of the sales force. If the decision maker is a c-suite individual- the top brass - there is no point using a call centre. Essentially, the person selling needs to be broadly on a par with the decision maker. It continues to surprise us how often businesses forget this. Top sales staff are expensive, so again we need to see that this cost is judged carefully in order to protect the growth in profits. Blue sky investments are another no-go area for us. In a rampant bull market some investors set aside worries about negative cashflows provided sales are soaring. Our approach remains anchored to strict financial criteria, principally a reasonable price earnings (PE) multiple, an attractive PE/growth ratio (PEG), at or below one, and a strong cash flows. For much of last year it was hard to find fresh investments that satisfied these conditions. Bouts of market weakness create opportunity and should be exploited, painful though it is at the time. Trying to time the market is a game for hedge funds working at a macro level. As long-term equity investors we look to judge companies on their own merits. The more they can make their own weather, the more we like them. If we have a message, it is simply to realise that good businesses tend to flourish regardless of the weather. If you believe in a share, keep it. If you enjoyed this article, you may also like the funds picked for interactive investor's Super 60 range of high-conviction investment ideas. Click here to find out more.